hello friends, this is basil the cat. 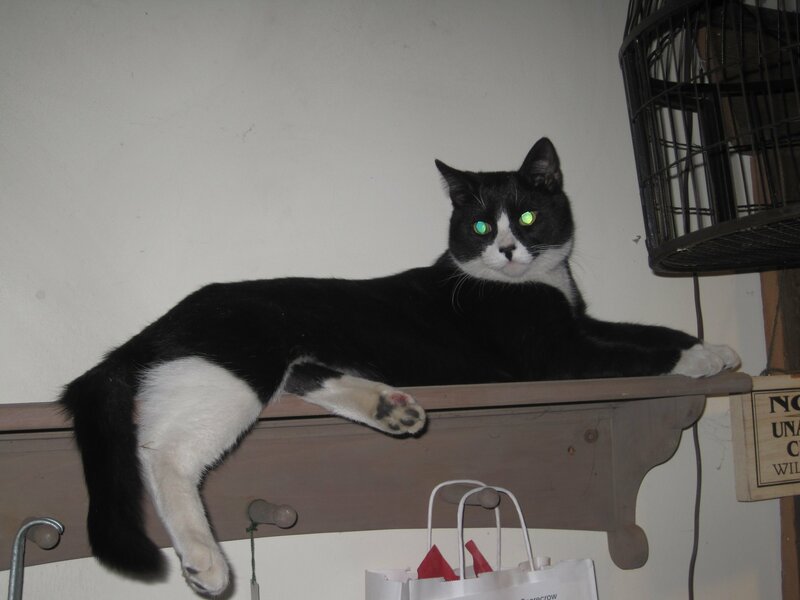 i’m the resident feline at floral & hardy and as most of you know the main attraction. next time you’re in please stop by my perch and say hello. i won’t bite. anyway, we have a huge amount of things going on at the center and at our new sister store ‘blossom’. to start off we have great black Friday offers on all our tv sets and home sound systems. most will be gone before 9am on black Friday so do come early. also on black Friday we celebrate the lighting of the giant Christmas Tree outside our building. this year i’ll be hoisted to the very top of the tree to light it up around 7 pm on the 28th. by the way, blossom our new shop is located under the tree in the big yellow building. say hi to catherine, amy, michelle, lisa, and kelley. blossom is the town’s most trendy shop with cool things for you, your home, and your friends. it’s getting rave reviews in the press so stop in. on Saturday the 29th we participate in Small Business Saturday. this great event is aimed at helping small shops during the holiday season. we’ll have specials gifts bags for the first several customers at both floral & hardy and at blossom. in addition, each shop will have SBS specials all day long. in December we really get cracking with workshops for adults and kids. for the adults we have winter container workshops where everyone will make a big container display for their front door. this is a huge favorite each year. sign up for this event and all events on the event page of our site. New this year is our Christmas Tree Centerpiece. 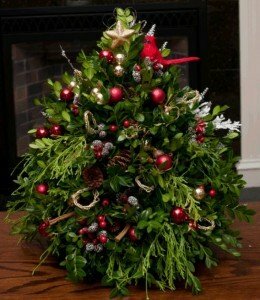 you’ll make a 20″ tree out of fresh greens and then adorn it with lots of goodies. 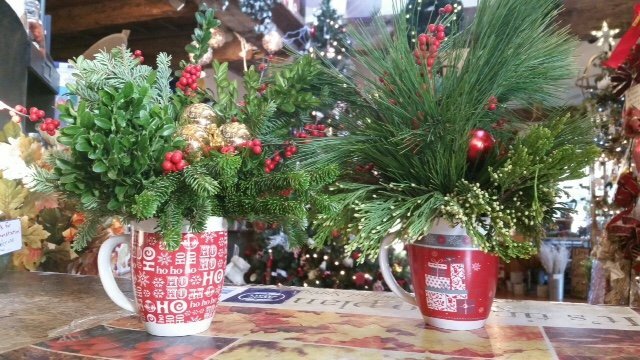 on the 7th the kids will make holiday mugs; perfect for a teacher’s gift or a gift for grandma. yes, my friends, the big guy has us all working overtime for the holidays. and he’s not even here. he hurt is back and is taking it easy at home. lucky him. maybe not. so please stop in, shake by paw, fill your car with greens and visit blossom. make it a day at floral & Hardy and blossom. be good and don’t forget to drink your water. basil out. « Why should I use mulch?